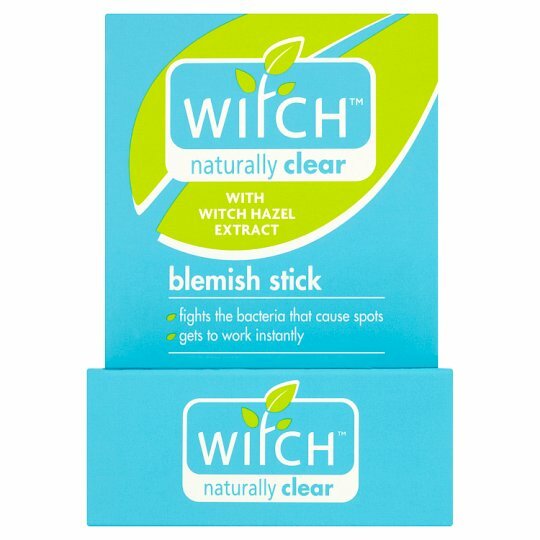 Witch Blemish Stick helps to break down excess oils and fights the bacteria that cause spots. For more than 40 years, Witch has used nature's clever ingredient Witch Hazel. It naturally cleanses, tones and soothes, leaving your skin perfectly balanced, soft and healthy looking. That is why we use it in all our products. Dab on as often as required when blemishes first appear. Great for all skin types but especially oily/combination skin. As with all skincare products use with caution on sensitive skin.